Friday the 13th has found itself smack bang in the middle of a cinematic conundrum, that much we know. 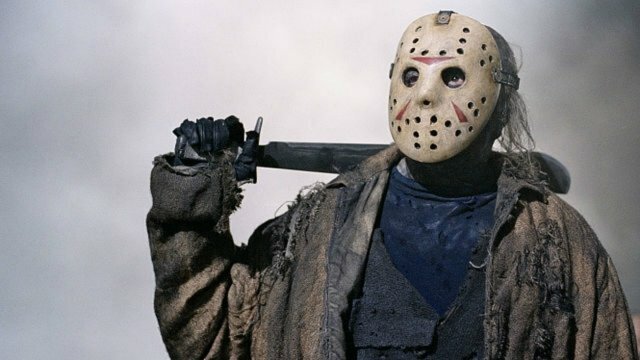 The ongoing legal battle has cast a dark, worrisome shadow over the franchise’s immediate future, and while Platinum Dunes co-founder Andrew Form is still holding out hope that Jason Voorhees’ reign of terror will one day – one day – get another shot at the big-time, it’s fair to say that things are looking pretty bleak for horror’s masked murderer. It’s frustrating, too, as before the rights reverted back to Warner Bros. and New Line Pictures – the industry powerhouses behind It and next year’s Chapter Two – Paramount came oh so close to launching a Friday the 13th reboot. Why did it collapse, you ask? There was a couple of things. I think there was concern about the rights looming at that point. Paramount was concerned if they made that movie and the rights were not available… if you are going to make that movie, you want to be able to ride it for more than one or two movies. That didn’t exist in this rights structure. We were going down the road to make the movie, but, at the end of the day, economically and/or creatively, they didn’t want to make it. Before things began to unravel for Paramount’s most recent Friday the 13th reboot, the Powers That Be had tapped Aaron Guzikowski and Breck Eisner (The Crazies) to write and direct, respectively. There’s this clause in the rights that the rights revert back to New Line. As that date became closer and closer, Paramount would have made one Friday the 13th movie and then New Line would have benefited if the movie was great. Then, New Line could have followed it up with subsequent movies. It put Paramount in a very tough position to go ahead and actually make the movie, and then us to reap the benefits if it was successful beyond that particular film. There’s another reason why Paramount pulled the plug, too: F. Javier Gutiérrez’s Rings was written off as a forgettable flop, leaving studio execs somewhat lukewarm about approaching another horror-fuelled sequel so soon after taking a hit on Rings. That was also a time when sequels were not doing as well. We’re all kind of reactionary when you are making something. You are looking for evidence that tells you that what you are making is right on the cutting edge of where society is going, and you certainly don’t want to make something that feels like the timing is wrong. I wouldn’t say the whole thing fell apart because of [Rings]. I certainly think that played into it. But, I also think the rights and now the litigation about the rights for Friday the 13th played into it in a much more substantial way than just how the Rings sequel did. For Friday the 13th, there’s currently little-to-no light at the end of the tunnel, and it seems as though that’ll be the case for quite some time.